Can I Increase or Decrease the Amount of Star Ratings My Listings Display? 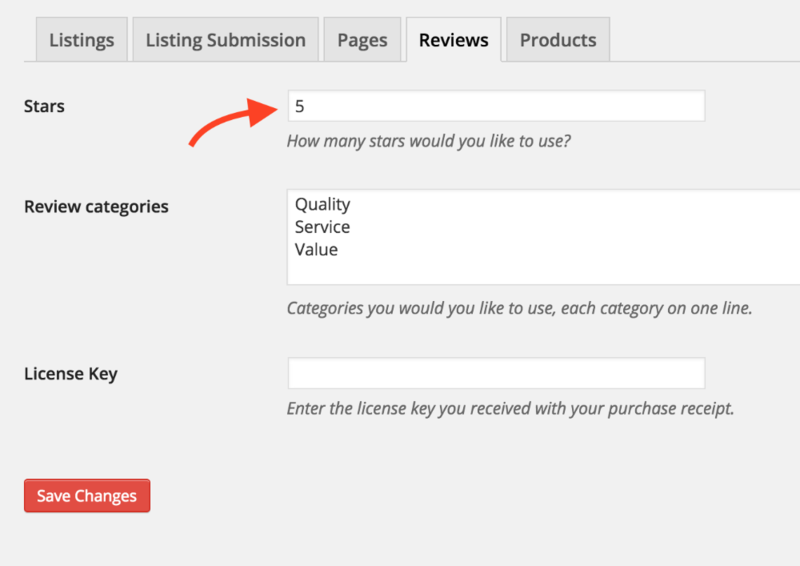 To change the amount of stars that display in the review area simply visit "Listings > Settings > Reviews". Once here you can change the number of stars that displays by changing the number in the "Stars" field.